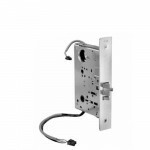 The 782 Yale/Corbin-Russwin Controller is required for electric latch retraction and is designed to ..
Yale 7100 36" or 48” Rim Exit Device is to be used with single doors or pairs of doors constructed o.. 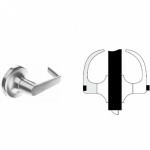 The 7116 Alarm Kit “A” either 36” or 48” for use with 7000 series exit devices, Satin Stainless Stee..
3501 Series Yale Full Cover Multi-Size Regular Arm door closer. 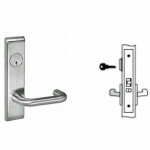 (sizes 1-6) The Yale® 3000 Serie..
CRCN 8805FL Yale Mortise Storeroom or Closet Lock Lever Grade 1 - ANSI F07. 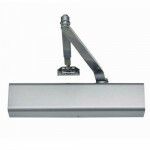 For use on storeroom, ut..
3301 Series Yale Slim Cover Multi-Size Regular Arm door closer. 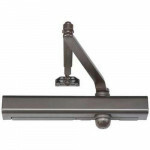 (sizes 1-6) The Yale® 3000 Serie..
4400 Series Yale Full Cover Multi-Size Regular Arm door closer. 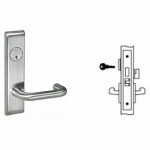 (sizes 1-6) Yale’s 400/4400 Seri..
8891FL Yale Electrified Mortise Lockbody Fail Secure Electrified Mortise deadlocking latchbolt.Lockb..
8801FL AUR Yale Mortise Passage Lever Lock Grade 1 - ANSI F01. 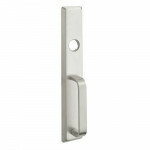 For doors that do not require l..
Yale 7130F L8 Mortise 36" or 48” Fire Exit Device is an exit device integrated with the Yale® 8700 S..
Yale 633F thumbpiece escutcheon exit device trim, less cylinder – classroom/storeroom cylinder contr.. 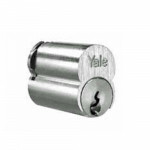 The Yale 1210 is a standard 6 pin large format interchangeable core. 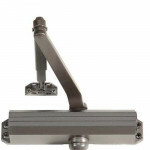 Large format cores a.. 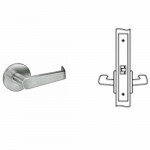 The Yale 632F Escutcheon x Pull & less cylinder – nightlatch cylinder by pull. 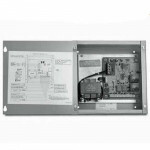 Exit device t.. 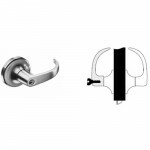 AU 5402LN Yale Privacy Grade 1 Lever - ANSI F76A - Privacy, Bedroom or Bath Lock- For lavatory or ot..
PB 5408LN Yale Classroom Grade 1 Lever - ANSI F84 - Classroom Lock For classroom or utility room doo.. 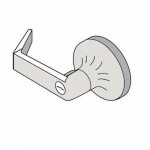 Dummy Trim- For non-operational lever used for decorative trim. 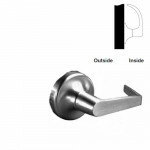 Designed for industrial, commerc.. 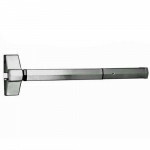 The Yale AU541F Key-in-Lever x Rose - nightlatch access by key - AU/Augusta with Projection: 2-5/8" ..
50 Series Yale Narrow Stile Multi-Size door closer. 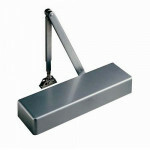 Yale® 50 Series Closers are designed to fit .. 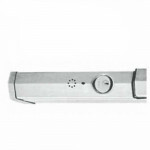 The Yale 2153 – 1-1/8” is a standard mortise cylinder with fixed core for current products. 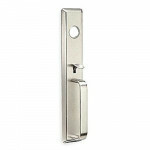 Incl..
CRCN 8822FL Yale Mortise Dormitory Lever Lock Grade 1 - ANSI F13. 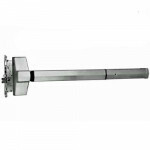 Latchbolt retracted by knob/lever ..